The Humane Society of South Mississippi (HSSM) is the largest animal welfare organization in the state of Mississippi. They are an open-admissions shelter and turns no pet away based on health, age, or behavioral status. Since its incorporation in 1952, HSSM has been committed to ending pet overpopulation on the Mississippi Gulf Coast. HSSM’s dream is to make South Mississippi a truly humane community where every pet lives out his/her life in a loving home. When they accomplish this goal, they will be the first community in the Deep South to achieve such a milestone. 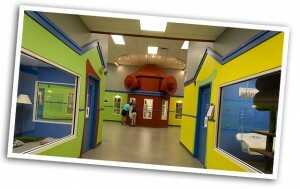 HSSM’s campus features large adoption areas, a boutique, two thr ift stores, a clinic and so much more. They also have plans to build a dog park. Something that is much needed in the community. HSSM is a 100% independent, 501(c)3 nonprofit organization. They depend on the support of the community to shelter and care for nearly 10,000 homeless pets and provide spay/neuter, pet identification and other services for an additional 10,000 community-owned pets each year.